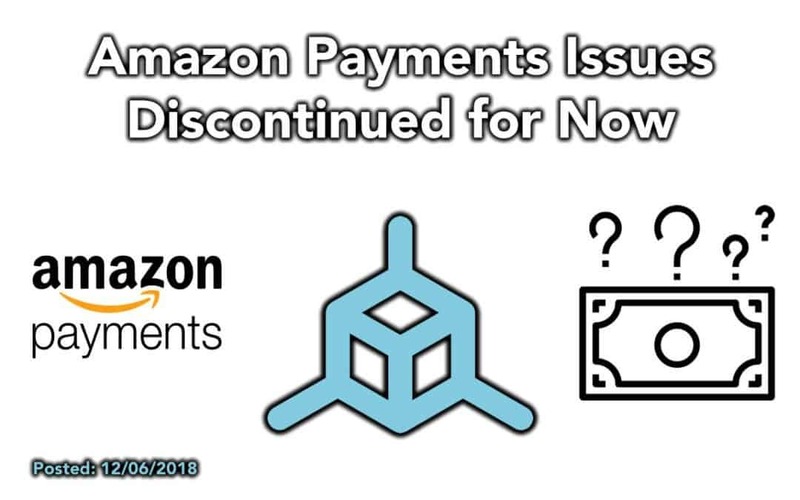 We’ve decided to discontinue use of Amazon pay due to technical limitations with their payment platform and WooCommerce that are causing a negative customer experience when using it as a payment method. It is causing issues with customer accounts not being setup correctly, order confirmation emails not going out to customers that contain important information, and has been one of the reasons for the site being slow at checkout. We will continue to offer Credit Card and PayPal as Payment methods on the website. We will continue to test their platform on the back-end and if they address these issues and limitations with a future update we will re-instate the payment method on the website. We’re sorry if this causes any inconvenience for anyone but we have to make sure things are working correctly and providing a good customer experience across the board and Amazon Payments was not providing that for our customers.